We don’t all have the time, or money, to get the pampering and relaxation we rightly deserve. But you don’t need to head down to the spa for an ultimate luxury experience. Here at Robb & Lulu we have mastered the Art of Chill, and want to let you in on a few of our secrets. So, here are some of our favourite ways to quiet your mind, indulge and let the world go by. Everybody loves a face mask. The ritual of applying them, whether it's unravelling a sheet mask, or delicately applying a soothing liquid mask, is relaxing enough on its own. But if you're looking to crank your mask game up to 'Ultimate Serenity' we have a few suggestions you'll want to get in on. This mask is my personal favourite, and I use it religiously. The mask is recommended for those with dry skin and it helps reduce dullness. The product has a soothing papaya smell, and the ritual of applying it is just as soothing as the relaxing 20 minutes you spend waiting for it to fully set and absorb. When you're done with your mask time, jump into the shower or rinse it off with warm water. While Mario Madescu is my favourite skincare brand, I promise I'm not biased. This product, just like the Enzyme Revitalizing Mask, is a wonder. While it's great for all skin types, it's best for oily skin. To use this lovely product, apply it to clean skin and leave it on for 15 - 20 minutes. While you may be tempted to do the washing or give the house a vacuum while the mask is doing its work, ignore the urge to get busy and use this as an excuse to get some R&R. Rinse off with warm water and follow-up with your favourite moisturiser. This one goes out to all of the sheet mask lovers out there. While I personally think they make me look a bit like Jason Voorhees, the soothing experience of gently laying a delicate mask over one's face is extremely tranquil. This mask is also fragrance free, so if you have extra sensitive skin, or sense of smell, the Hada Labo Tokyo mask may be a good option. Sit back and relax for 10 minutes while the mask works its wonders. When you're done, peel it off and rub the excess into your skin to make the most of it. Those of us who are constantly forgetting to drink enough water know the struggle of dry cracked lips. They're painful, unsightly, and a big indicator that your body is not happy. In addition to upping your water intake, a lip mask is a luxurious and sometimes entertaining way to hydrate your lips. They have an almost jelly-like texture and feel unusual on the skin, but they are incredibly soothing. Another great feature is that talking with a lip mask isn't easy or comfortable, so they encourage you to enjoy some quiet time, and focus on your breathing. These are similar to the lip masks in their texture, but their aim is to reduce puffiness under eyes, and give you a leisurely 20 - 30 minutes to relax. Radial also offer a lip mask with the same formula, which is made from 'Dragon's Blood' (AKA made from the Croton Lechleri tree). Skin care and relaxation isn't all about the masks, there are a few products we absolutely love that are more generalised but just as special. This is another personal favourite of mine, and it's great for when you're a little sore and tired, but don't want to head out for a massage or physio appointment. It's a massage bar with cocoa butter, peppermint oil, and a host of other wonderful natural ingredients. To use this little palm sized wonder you slowly move it along any sore spots on your body, like your arms, back or legs. When the bar touches your warm skin it will slowly melt and be absorbed. 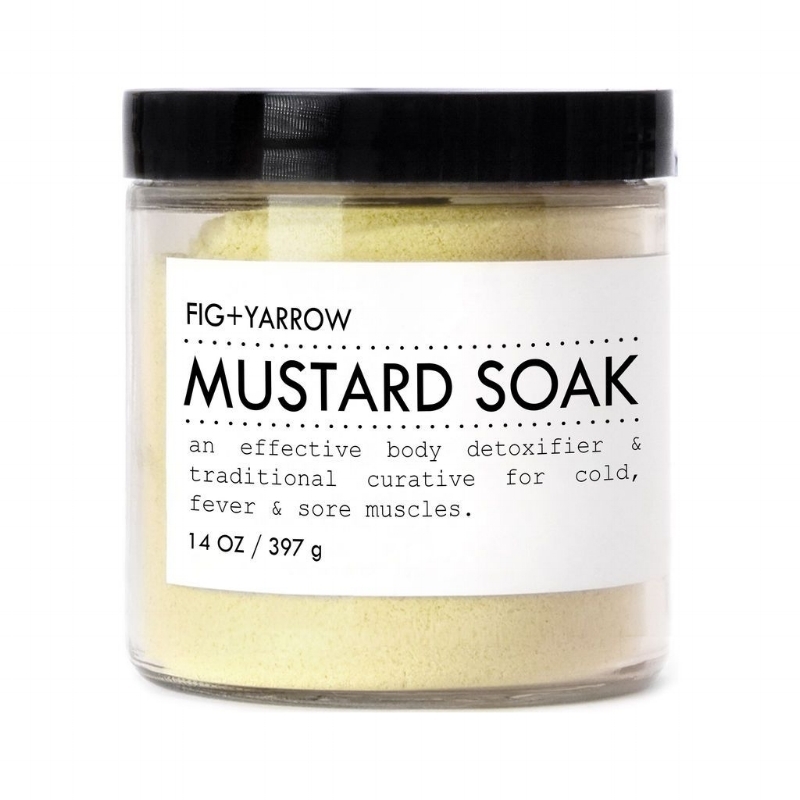 The product then creates a deep warmth in your muscles that soothes and reinvigorates. Mario makes the list again, with their cult favourite facial spray. While the more popular facial spray is the option with rosewater, the green tea spray is better for that soothing, healing feeling, and the green tea and aloe are wonderful for the skin. The spray can be used on the face, neck and hair to add a bit of moisture throughout the day. If you don't have time to sit down and enjoy some at home relaxation, grab a travel sized bottle of this stuff for your handbag, and use it as a midday pick-me-up between meetings. This odd tub of powder has a multitude of powers. Pop a few spoonfuls into a warm bath and soak for 20 minutes. During that 20 minutes this powder will gently open pores, and encourage perspiration to help get rid of impurities. On top of this, it can ease and relieve sore and aching muscles. Masks, and soothing baths are wonderful, but relaxation is about more than just what you're putting onto your body. Atmosphere can be the biggest factor in relaxation; from sound, to smell, to light. So as you're enjoying your array of masks while in the tub or laying back, ensure the ambiance is just right to give yourself the maximum at home pampering. Candles are a staple of the spa and beauty setting, and something a lot of people enjoy in their day-to-day lives. But this is no average candle. WoodWick candles not only have a variety of beautiful scents, but they also crackle as they burn. As the name suggests, the wick is made from a special wood design, meaning you get a long burn time, with a fireside style crackling at the same time. Relaxation is as much about what's happening inside your body as it is the things going on externally. T2 have a tea for any occasion, but we love Sleep Tight. Despite the name, the tea isn't exclusively for bedtime. It's great for anytime you're looking to settle your mind and calm your body. This item puts a new spin on the term Netflix and Chill. The 'Moving Art' series on Netflix has several episodes, all set in a different landscape, including oceans, deserts, waterfalls, and more. The episodes are around 25 minutes each and will allow you to create whatever atmosphere you're looking for while you engage in your relaxation ritual. I'd recommend the first episode of the series, Oceans for anyone looking for deep serenity, and gorgeous ocean views. This is a bit of an odd entry onto the list. But, if you're like me and often can't keep your mind from racing for long enough to relax, the Sleep With Me podcast may be what you've been missing. The podcast is aimed at putting listeners to sleep, but is generally a great way to de-clutter your thoughts and relax. The host has an unusually soothing voice, and essentially tells you a story for most of the length of the podcast. While the story makes some sense, it is mostly totally incoherent. This means you don't need to concentrate, but have something to listen to so your mind is occupied and not overwhelmed.